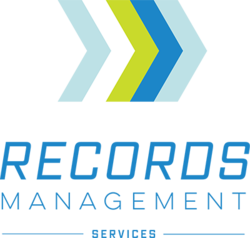 Records management is the process of maintaining and controlling all of the steps involved in the life of a Record. It's vital that your business manages all of its Records efficiently and competently. Our experienced team at PRAJ PROCESS can support and assist you throughout each of stages in the life of your business records, whilst keeping the costs of secure storage to a minimum. · Archive for maximum security and accessibility. We understand your pain of maintaining hard copies of all your medical records at home. They can get misplaced, damaged or stolen if not taken care of on a timely basis. Your medical records are clinical and legal documents which chronicle your journey through health and illness. - We provide sufficient racks made of steel adjustable angles for storage of records / documents. - We carry out Pest Control (Cockroach, Termite and Rodent) at the end of every quarter. - We have sufficient number of fire extinguishers in the premises. Records management can be a cumbersome and expensive business process unless you consider a well managed and secured off-site storage. Records of several years need not occupy that precious business space anymore. You want relief from tiresome data retrieval process from piles of archives and that is what our professional records and information services management offers. Records management needs are very specific and each organisation has its own requirements. AGS offers highly personalised storage solutions to suit your company’s archiving needs. We provide confidential storage in secure warehouses and give both electronic and physical access to your company’s records. Records Management is not only about storing records in an office or an offsite warehouse. It is more about organising your records in such a manner that you can retrieve your data easily without wasting time and effort or incurring more cost.